Splatball rents out and sells paintball supplies and our location has the best Pro Shop in the state. Paintball is a fantastic game for people who are looking to get into something fun and active. It can be an excellent means of friends and family to bond with one another by working as a team, or shooting each other to relieve stress. It can be played either outdoors or indoors, so weather does not have to be too much of a factor. Many places that have paintball supplies also have leagues and schedules for when matches are occurring. There is usually a good time for anyone to get involved in the game. Protective devices can be just as beneficial in relation to paintball items. Vision protection is required to get into a complement at every place. Go defense can also be recommended for preventing prospective concussion problems. Heavy garments would work to use to help lessen the amount of bruises received whilst taking part in paintball. Hand protection and sound shoes are capable of doing much to assist make sure an exceptionally cozy experience. With a bit of analysis, everyone can get into about this incredibly pleasant action called paintball. Luckily, paintball items are not prohibitively costly to buy. The main amount of gear is obvious, the paintball weapon. Known as markers, they are offered in a range of sizes and designs with a variety of shipping and delivery systems. Proper care needs to be consumed in getting a gun that may be most trusted to utilize as well as gives plenty of energy. People who preserve offer retailers can be experienced and are more than pleased to run across the various kinds of markets accessible for buy. Once you’ve bought your paintball gear, why not give it a try? 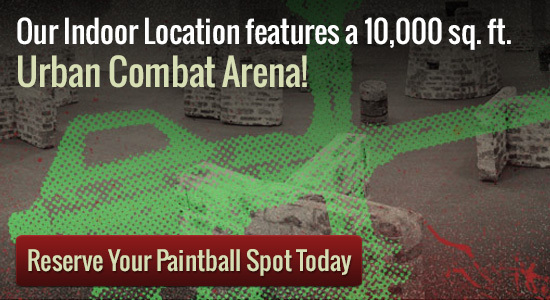 Splatball has an indoor paintball field on-site, with walk-on sessions available daily. We also offer private game sessions for groups. Give us a call at 612-378-0385 to reserve your spot today. We can also answer any questions you may have about Splatball and the booking process.